Pair this with some chocolate pie and/or some warm chocolate sauce, and you have an unbeatable Southern dessert. The memory of this cool, minty deliciousness may even be enough for me to break down and buy an ice cream machine. One taste and you’ll be hooked. Trust. 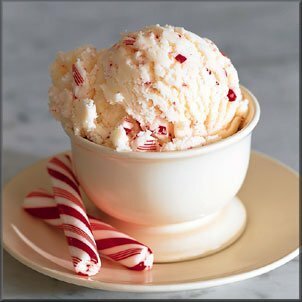 Dissolve peppermint in half and half. Freeze in ice cream machine. 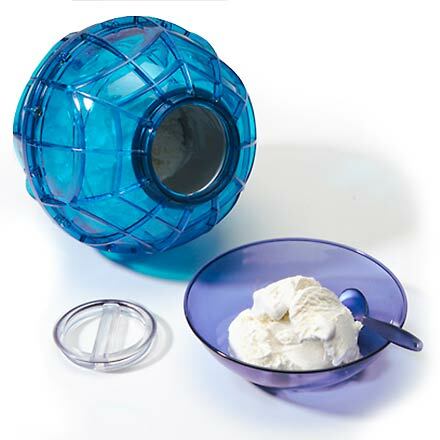 If you haven’t seen this ball ice cream maker, be sure to check it out. 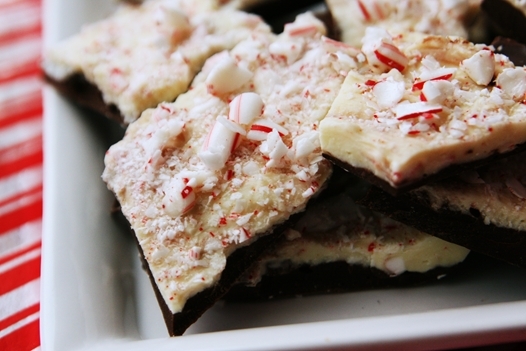 You just add ice, rock salt, and ice cream mix and toss it around to freeze. Again, in my infinite kid-wisdom, this seems like a no-brainer for parents. Kids get entertained and you get the nummy rewards. That’s why people have kids in the first place, right?